Peter Corless, executive vice president of enterprise development at OnShift, has been re-elected as the associate business member (ABM) president for the American Health Care Association (AHCA). OnShift is a Cleveland-based software development firm that specializes in the post-acute care and senior living industries. Corless will continue to represent the AHCA vendor partner community as an ex-officio on the AHCA board of governors, a position he has held since October 2015. Waltham, Massachusetts-based EPOCH Senior Living has welcomed Kim Russo, RN, as wellness director, and Tasha Chimbila as life enrichment director, at its new Bridges by EPOCH at Norwalk community in Norwalk, Connecticut. In her new role, Russo will lead the community’s team of licensed nurses and certified nursing assistants as they care for residents living with memory loss. She has 12 years of nursing experience in hospitals and assisted living communities throughout Connecticut. Previously, she served as resident services director at another local senior living community. As life enrichment director, Chimbila will be in charge of developing and leading the community’s activities program to promote physical, mental and emotional engagement for residents living with memory loss. Prior to joining the company, she served as dementia coordinator and recreation director for two local senior living communities. A certified dementia practitioner, Chimbila holds certifications in Alzheimer’s exercise, aging rights recreational therapy and gerontology. Set to open in the fall, Bridges by EPOCH at Norwalk will be a 64-suite memory care and assisted living community. Kevin McClain has been named president and CEO of Des Moines-based The Weitz Company, a national general contractor, design-build and construction management firm serving a variety of industries, including senior living. McClain is the eighth chief executive in the firm’s 162-year history. He succeeds Lenoard W. Martlin, who announced his retirement on October 1 after 36 years with Weitz. McClain has been at Weitz for 18 years, first starting as a project engineer in 1999. After holding numerous operational positions within the company, he gained his first executive leadership position in January 2012 as executive vice president, overseeing Watts Constructors, which Weitz previously owned until being acquired by Orascom Construction Limited in 2012. Prior to being named COO on January 1, 2017, McClain served as the president of Weitz’s commercial business segment. Creating Results, a Woodbridge, Virginia-based strategic marketing consultancy specializing in the senior demographic, has welcomed Melissa Caravella as vice president of client services. Caravella brings 13 years of client service, project management and content development to Creating Results. She began her career in 2004 as a production editor and project manager at Humana Press, where she oversaw a portfolio of books and academic journals from acquisition to print. Her experience at Humana Press led her to an associate editor position at Bluespire Marketing in 2006, where she managed client services, design and content teams, and she was ultimately named vice president of content in January 2016. At Bluespire, Caravella led in the production of content deliverables for clients like CVS/Caremark, Pfizer, CHI-Franciscan Health, Navy Federal Credit Union, Houston Methodist and Tenet Healthcare. Heritage Senior Living, a West Allis, Wisconsin-based senior living provider—and its parent company, MSP Real Estate—has appointed Brian Martin as its new vice president of asset management. Martin has been in the real estate management industry for more than 11 years. Prior to joining MSP Real Estate and Heritage Senior Living, Martin was a regional asset manager in the Madison area, overseeing a portfolio of roughly 50 properties and more than 3,350 units throughout Wisconsin, Illinois and Iowa. In his new role for the company, Martin will oversee the financial performance of all MSP Real Estate-owned properties, particularly during the opening and lease-up stages of all newly constructed developments. He will also oversee the acquisition, financing, maintenance and information technology departments for all MSP Real Estate and Heritage Senior Living communities. Maplewood Senior Living has named Susann Varano, M.D., as its new resident care specialist. 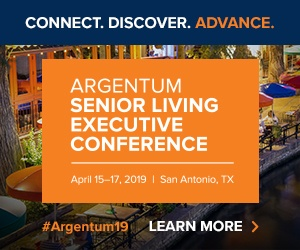 The Westport, Connecticut-based senior living provider owns and operates 15 senior living communities spread throughout in Connecticut, Massachusetts and Ohio. In her new post, Varano is responsible for coordinating and facilitating quality, cost-effective care for Maplewood residents. Further, she will provide care management to residents and coordinate between resident, family, primary care physicians, specialists, acute and post-acute providers, and other members of the resident care team. Catonsville, Maryland-based Erickson Living has named Suson Tillman-Taylor as director of human services for its Cedar Crest community in Pompton Plains, New Jersey. In her new role, Tillman-Taylor will be responsible for planning, directing and delivering corporate and community HR services in support of Cedar Crest operational and business strategies. She brings more than 15 years of HR leadership experience in health care, and most recently led HR operations for two acute care hospitals and five long-term care facilities in Ocean and Monmouth counties in New Jersey. Further, Erickson Living has named Kathy McCrossin as the new director of sales at its Devonshire at PGA National community located in Palm Beach Gardens, Florida. Prior to joining Devonshire, she was director of sales at Maris Grove, an Erickson Living retirement community in Delaware County, Pennsylvania. Erickson Living has also promoted Kristin Stoneberg as assistant administrator of continuing care at its Oak Crest community in Parkville, Maryland. Stoneberg brings 23 years of senior health care experience to her new position, mainly as a speech pathologist in the post-acute and long-term care settings. She began her career at Oak Crest in July 2013 as assistant rehabilitation manager. In her new role, Stoneberg will support and implement a variety of initiatives, including the opening of a new memory care unit in spring 2018. Capell Named Senior Vice President of Provider Solutions at Long Term Care Group, Inc.
Long Term Care Group, Inc. (LTCG), an Eden Prairie, Minnesota-based firm specializing in outsourced long-term care insurance, has appointed Matt Capell as senior vice president of provider solutions. In his new role, he will be responsible for developing and executing an integrated provider strategy for the company’s clients, which involves the expansion of many early initiatives developed by LTCG, including its contracted and credentialed providers; several pilot programs to promote recovery and reduce rates charged by home care providers; and initiatives to reduce fraud and leakage. Capell will also oversee many of LTCG’s technology-enabled assets, including its provider portal, Silver Brick Road policyholder engagement web tool and the company’s provider and cost of care databases. Capell has more than two decades of experience in the health care, financial services and technology sectors, with a focus on general management, business development and corporate finance. Prior to joining the company, he was as CEO of Pennsylvania-based FHS SeniorCare Payment Solutions, where he worked with long term care providers to manage their eligibility, billing and collection operations, streamlining claims processing and payment with more than 400 third-party payers and private pay care recipients. Knoxville, Tennessee-based Dominion Senior Living has welcomed five new members to its management team for its Richmond, Virginia community, Dominion Senior Living of Richmond. Each will be under the direction of Tina Newman, the community’s executive director. Stepping into the role of wellness director is Jessica Lee. She has been a licensed practical nurse for six years. Previously, she served as a resident services director for an assisted living community, a charge nurse at a rehabilitation center as well as a floor nurse for a retirement community. Joining the Richmond team as the dining service director is Tim Engle. He will oversee the dining team, specializing in food management. He will utilize his experience in the kitchen to ensure that the culinary team creates nutritious meals for residents. Engle served as a pastry chef, sous chef, head chef and executive chef at various dining locations over the last decade. Most recently he owned a catering business in Richmond. Debbie Potter joins the team as business office director. Potter will be responsible for overseeing all bookkeeping and localized accounting functions for the community. She has more than 13 years of experience in the senior living industry and most recently worked as the director of business for a nursing home and rehabilitation facility, where she managed accounts payable for an organization with 130 personnel. Alina Kennedy will join the community as its life enrichment director. In this position, Kennedy will be responsible for the activities to meet the physical, social and emotional needs of the residents and their families. She previously served as activities coordinator, recreational therapist and recreational leader at various hospitals over the last few years. Rounding out the five directors is Ryan Baker, who joins the team as maintenance director. Baker will focus on preventative maintenance and the safety of residents, team members and visitors. Previously, Baker performed maintenance on farming equipment and other machines. For the last seven years he has owned and operated a lawn care business, as well as a farm store.